Mix all the ingredients well together and knead to a dough. Then form small balls. I must say, even though I do love sweets, most christmas cookies are just not my favorite. (I guess I’m usually more a cake person). With the exception of my sister-in-laws super buttery “Mailänderli” cookies (She sometimes even dunks half of the cookie in chocolate….ridiculously good…). But there is an other cookie I always enjoy, doesn’t matter what time of the year it is. 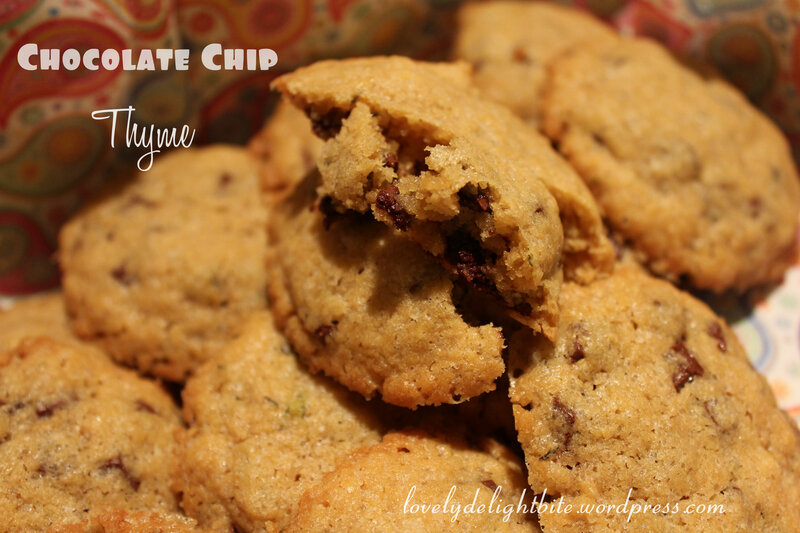 The classic Chocolate Chip Cookie. Timeless delicious! 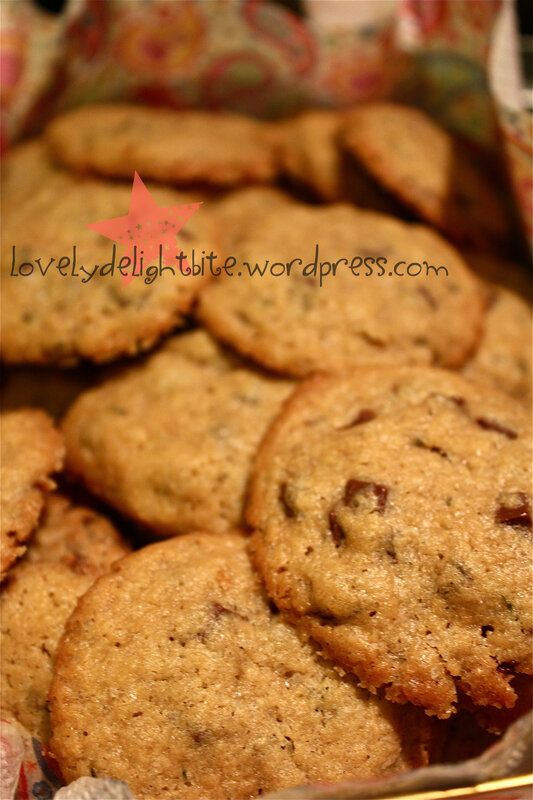 About half a year ago I had the idea to make my Chocolate Chip Cookie Recipe and spice it up with some fresh Thyme. I took them to school and my study buddies enjoyed them a lot. This time I made them with dried Thyme- and after the bite of approval it is time to share this keeper with my blog friends and wish you all a wonderful christmas time with your friends and family!